With many local contractors competing for your business, how can you be sure that you’ll get high levels of service, quality and value? It’s challenging and stressful to bring different contractors to your home to take on different repair, renovation and new construction projects. 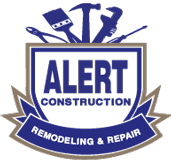 Alert Construction can do away with the uncertainty and stress of hiring contractors because we have the resources to provide comprehensive services. Windows. Casement, double-hung and sliding windows as well as custom picture windows, bows and bays. We have access to an unprecedented range of window styles and sizes, with different frame material and finish options as well. We can install both new and replacement windows that include excellent warranties. New Construction. Alert Construction can build new homes from your plans. Alternatively, we have access to excellent plans and design services to create your new home. Additions. If you love your neighborhood and property but need more space, we can design and build an addition to provide the extra living space you need. Remodeling. Whether you need to remodel bathrooms, a kitchen or a basement, we have the skills and experience to get top-quality work done quickly and affordably. Looking for a full-service general contractor that you can depend on? From house painting to new construction building, remodeling and disaster restoration, we have quality, affordable solutions that you can trust. We provide a Free Estimate for home improvement in NC, whether it's for a small repair or extensive home remodeling. Our expert home improvement services are available throughout all of the Triad, including Winston Salem, Durham, Raleigh, Greensboro, Lexington, Burlington, Danville, Statesville and surrounding areas. Contact us today to schedule Free Estimate!